For everyone of you including me , installing software’s just after formatting the system is a tedious job. You need to install each and every software one by one and it consumes too much of time. 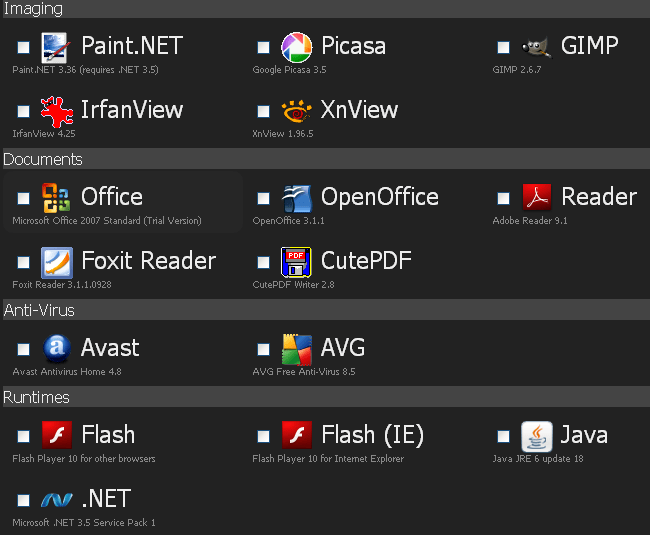 What if you can install all those in a single click after selecting which software’s to install. 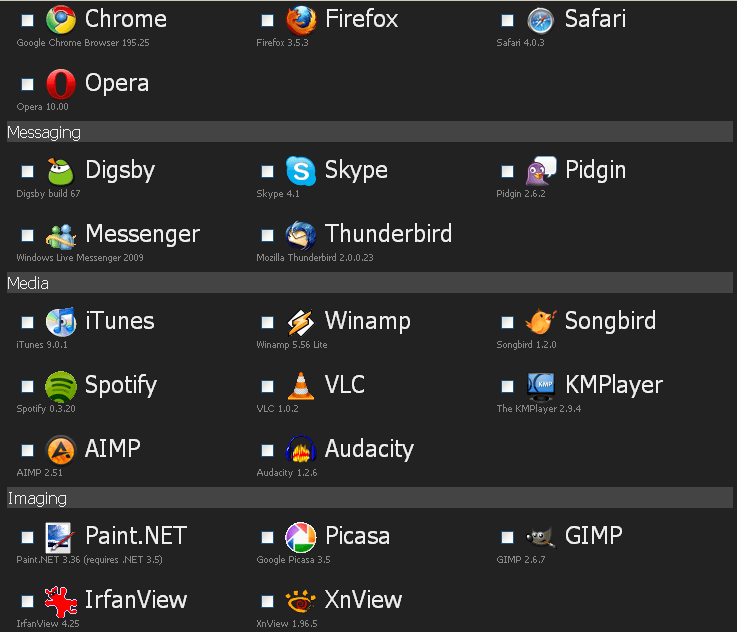 Volery is a new tool that lets you install all your favorite picked softwares in a single click when you are not even on your system. It got a great list from which you can choose which softwares to install. After you have selected them, you just need to run a single installer. It will install everything you selected automatically. It has got a whole lot of applications to choose from. You need to select the applications you need to install on your system first. After you are finished selecting them, just download the installer by clicking the button “Get Installer“Â at the bottom of page. After downloading the setup file, just run that file. That’s all, all your applications will be downloaded and installed on own without you doing anything. Volery works in the background, 100% hands-free.We install apps with default settings and say “no” to browser toolbars and other junk. All we do is install the apps you choose. Not even volery is installed. Volery is currently in Private Beta but we have free invites for the first 100 readers who sign up. Just click on the link below enter your email, choose a password and make sure avinashtech is in the Demo Code box .